Heat the olive oil in a large heavy-based pan over a medium heat. 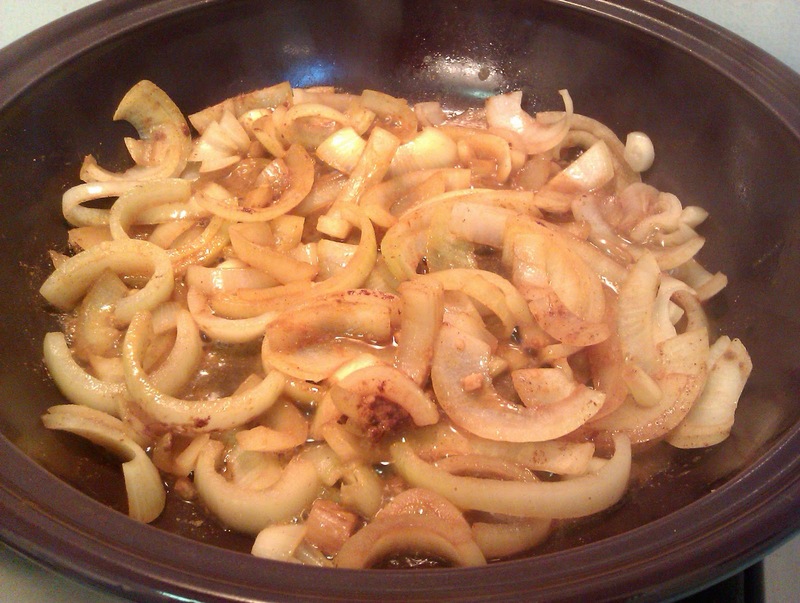 Add the onion and cook, stirring occasionally, until the onion is translucent. Add the ginger, cumin, turmeric and cinnamon and cook for two minutes, stirring regularly. 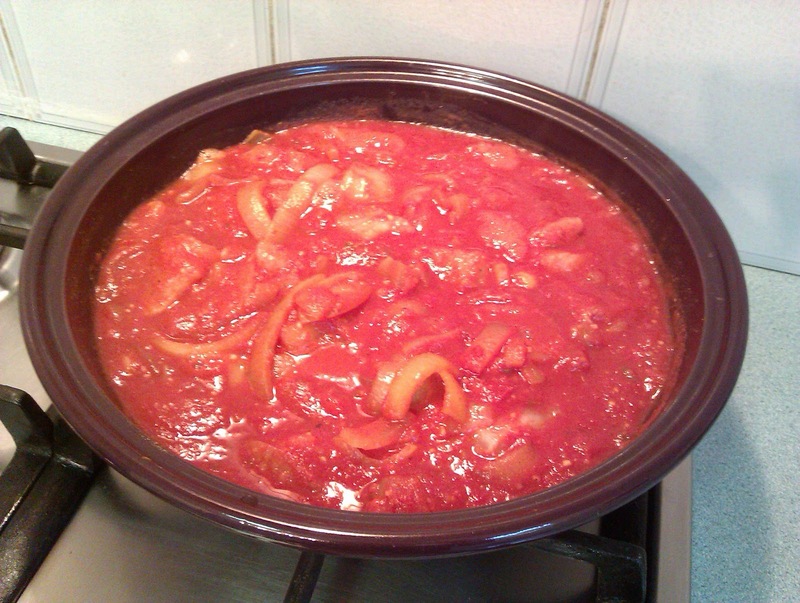 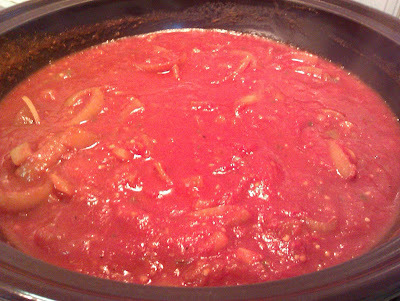 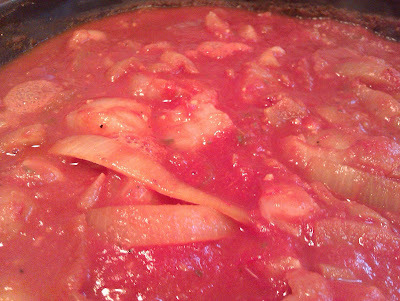 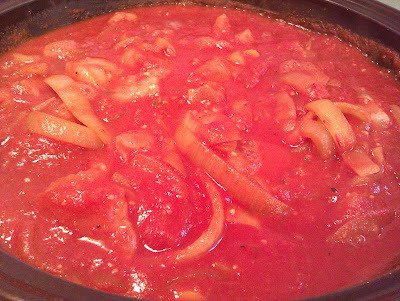 Add the cayenne pepper, pasta sauce, salt and 250ml/9oz of water and cook, stirring frequently, for two minutes. 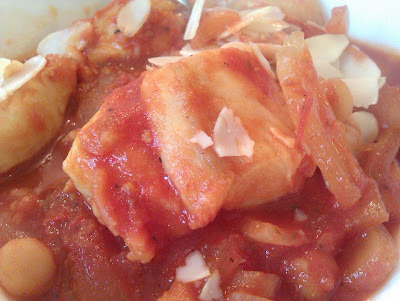 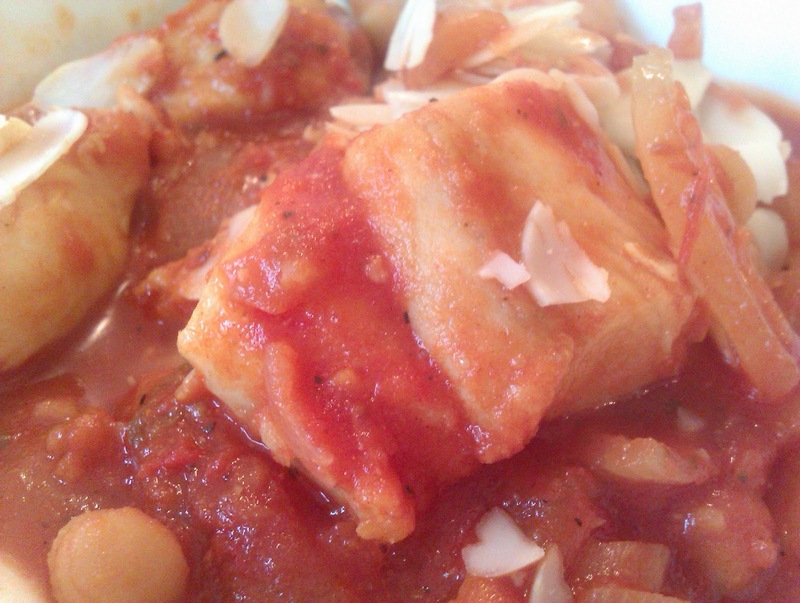 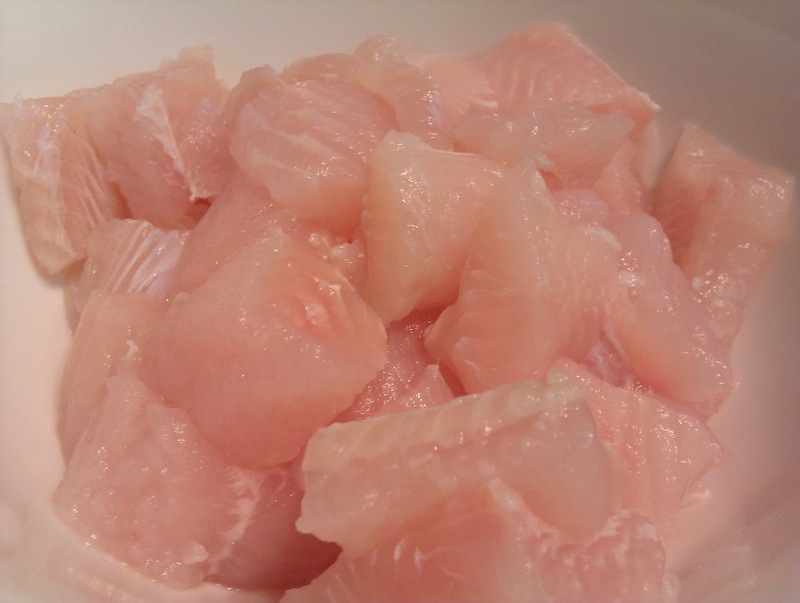 Add the fish and simmer for five minutes, or until the fish is cooked through and tender. 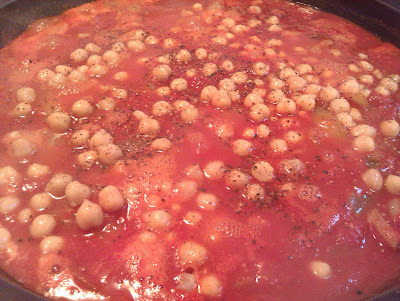 Add the chickpeas and cook for a further 2 minutes, then season with salt and freshly ground black pepper. 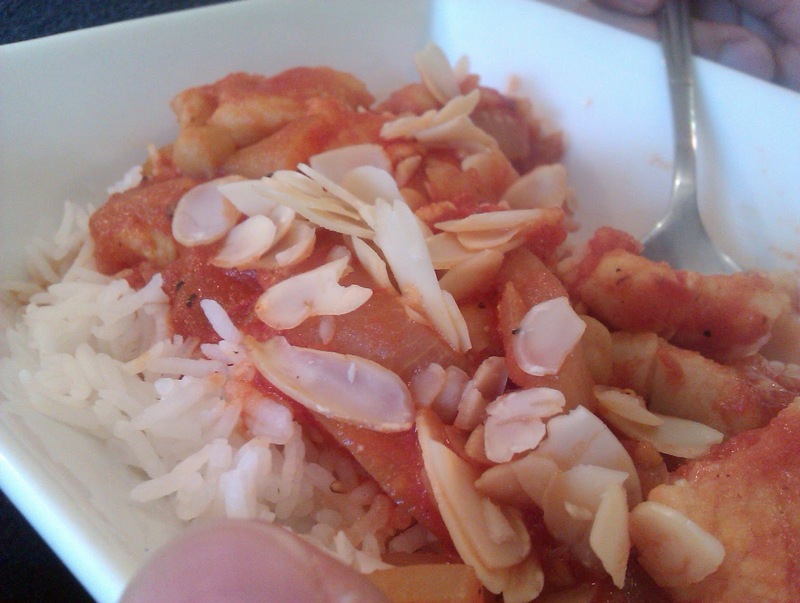 To serve, spoon out the tagine into bowls of rice or couscous and garnish with flaked almonds. ...fish added and covered with sauce. Addition of chickpeas and seasoning.